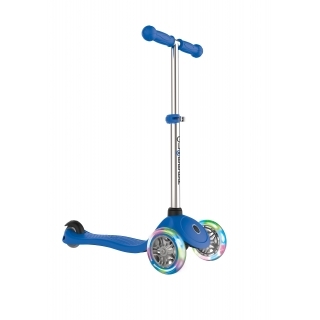 Globber PRIMO FANTASY LIGHTS 3-wheel light-up scooter for kids -scooter with light-up wheels, height adjustable scooter, patented steering lock button for easy learning. 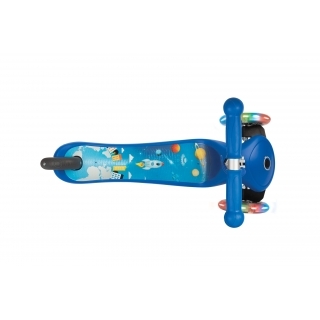 Scooter for kids with an exclusive printed deck design. 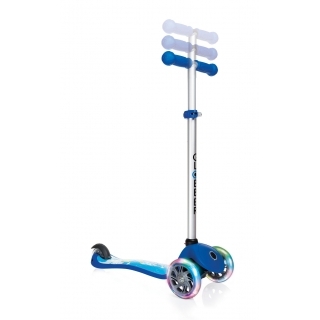 Light-up scooter with battery-free LED front wheels flash in red, green & blue. 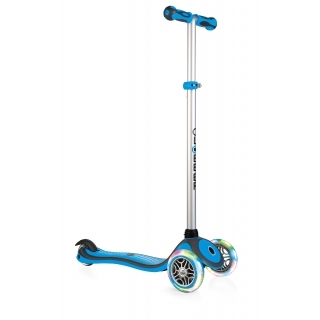 3-height adjustable scooter & deck supports up to 50kg. 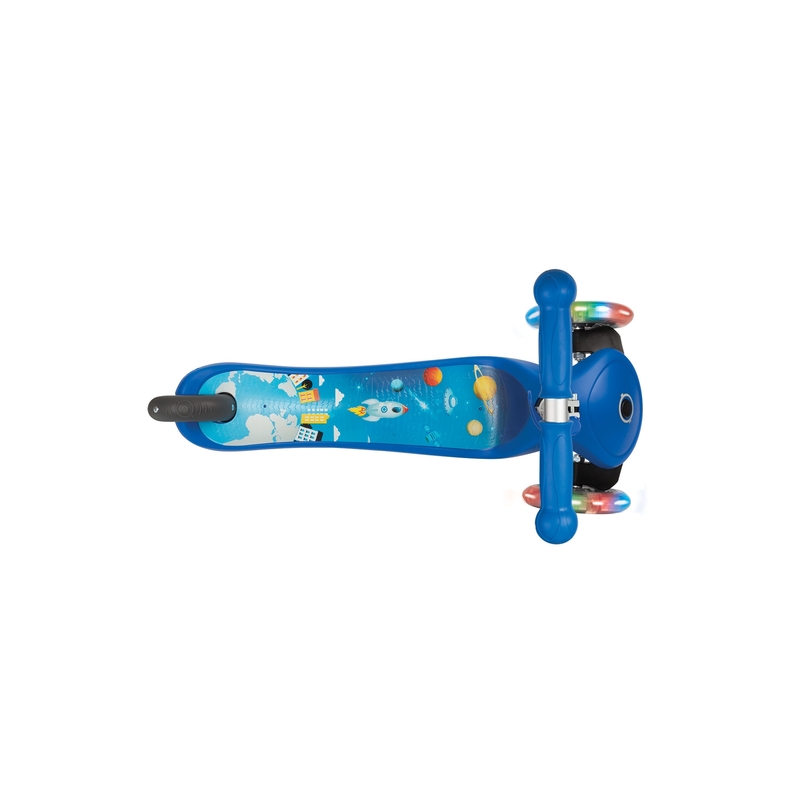 3-WHEEL KIDS SCOOTER PRODUCT FILM. 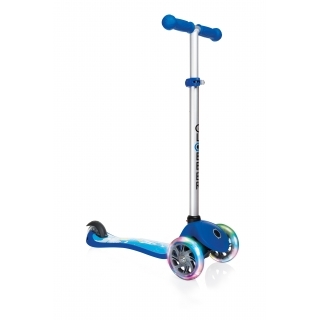 Watch the film to find out more about our PRIMO 3-wheel scooters for kids! 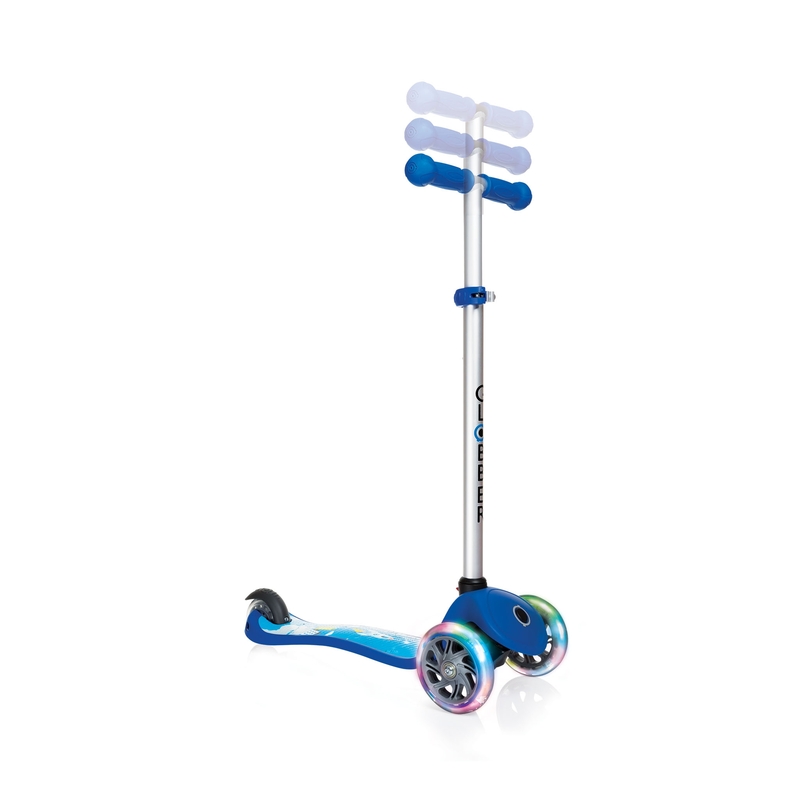 4-height adjustable scooter with LED lights. PRIMO PLUS Ferrari vs PRIMO FANTASY—Which One To Buy? What are the differences between ELITE & PRIMO? Which Scooter Is Best For My 5 Year Old Kid? Globber Triumphs Product Safety Test. Copyright © 2019 Globber. All rights reserved.